My setup is ESXi 4.1 build 260247 with 4gb fibre channel HBA connected to a SUN Storagetek 2540 SAN. 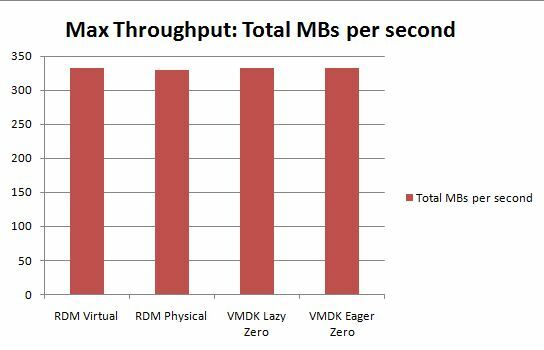 I did the test on a 10GB LUN located on fibre channel disks. The test was done with Iometer on a virtual machine running Windows 2003 SP2. 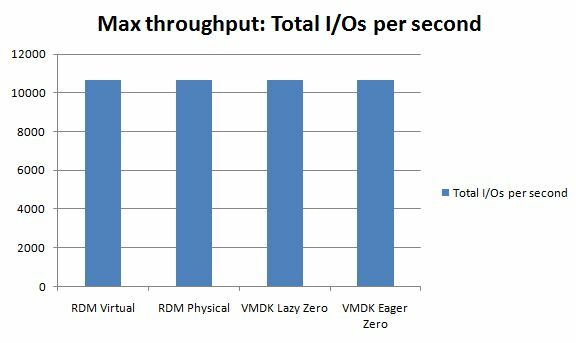 I performed all tests on the 10GB LUN as either: Physical RDM, Virtual RDM, Lazy Zeroed VMDK on a VMFS and Eager Zeroed VMDK on a VMFS. 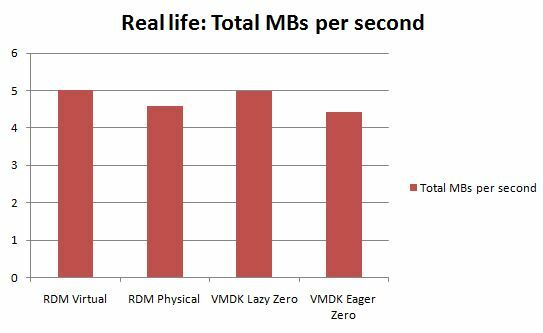 Conclusion: VMFS and RDM have similar performance. 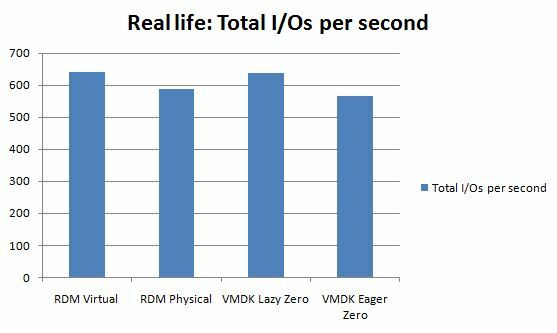 Don’t choose RDM for performance.